We left Boynton Beach on Thursday afternoon, June 20. 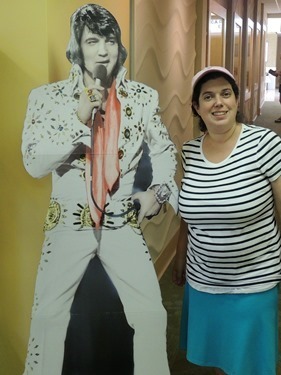 That night we stayed in a hotel in Northern Florida, after stopping for dinner at a restaurant in Ormond Beach – the Jerusalem Grill. The next morning we drove into Alabama – a new state for me! 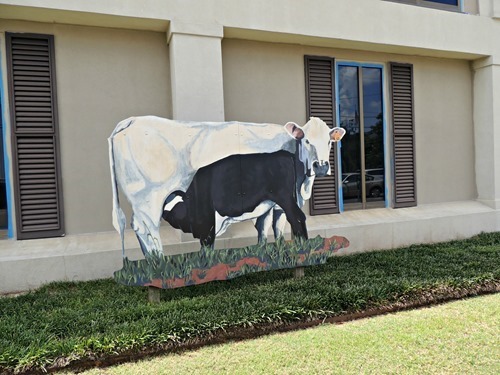 We planned a stop at a place called the Moo-seum, which is an educational center regarding Alabama’s beef cattle industry. However, we arrived there at exactly 12pm and they close for lunch from 12-1! Simon was a bit disappointed but the other kids took it in stride. We did see this cow. 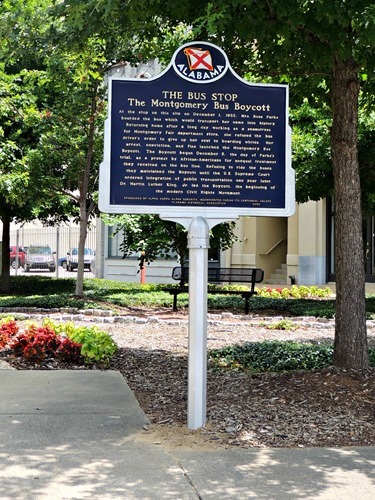 And we drove by the bus stop where Rosa Parks boarded the bus the day she refused to give up her seat. 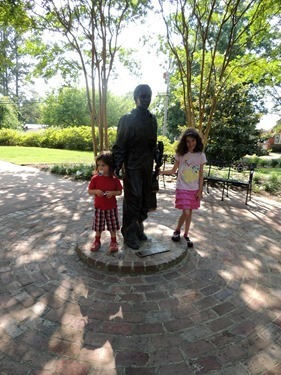 Later that day, we decided to stop at Elvis’ birthplace in Tupelo, Mississippi. We walked around a bit there and I found a geocache there! 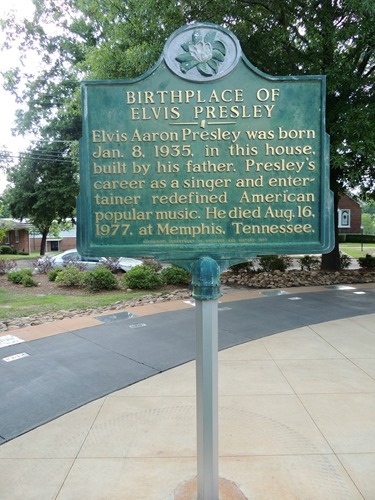 We spent that night and the following night in Memphis, TN. On Sunday June 23 we drove the rest of the way home. 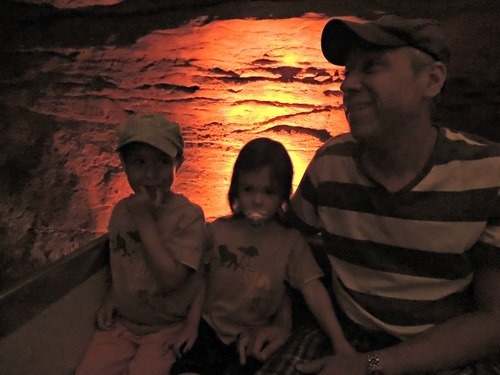 We stopped in Springfield MO to visit Fantastic Caverns – America’s only ride through cave. 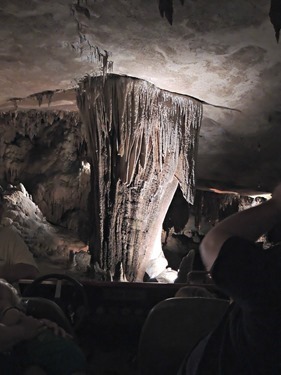 (There are only 4 ride through caves in the world, and Dave and I were excited to realize we’d been to one of the others – Harrison’s Cave in Barbados!) 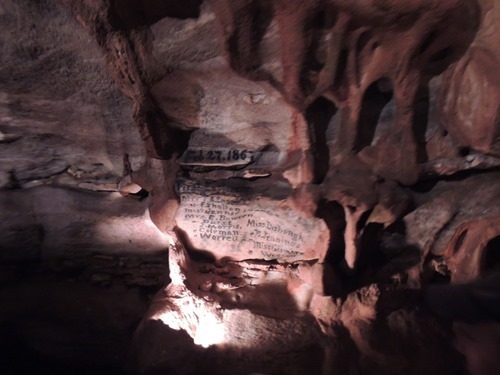 The history of the Caverns is pretty interesting – a hunter and his dog discovered the cave in 1862. 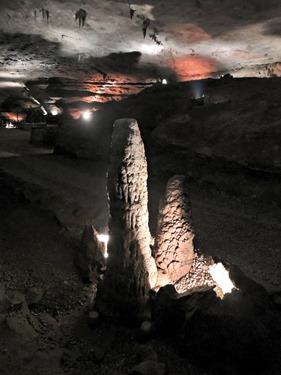 He didn’t want the cave to be exploited during the Civil War, so he didn’t broadcast his discovery until 1867. 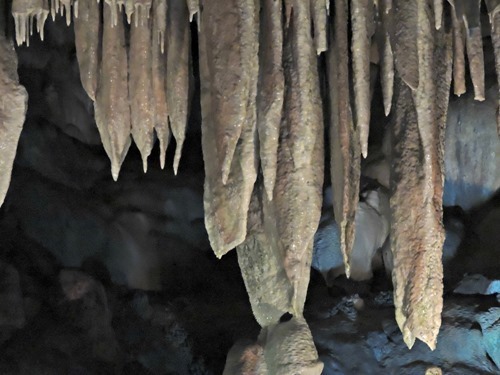 Twelve women from the Springfield Women’s Athletic Club were the first explorers of the cave. The caves were used as a speakeasy during Prohibition and a concert hall in the 1950’s. 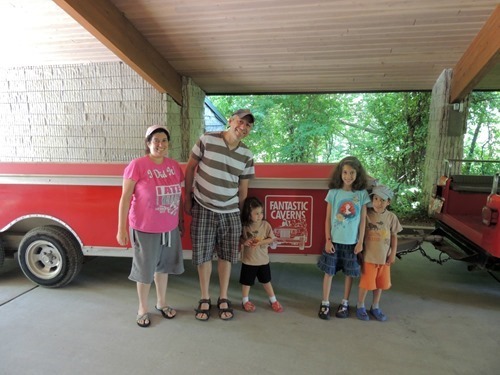 Now it hosts tours to over 100,000 visitors per year. The names of the first explorers carved into the wall. From there, it was home to Kansas. (Ignoring the fact that we had a flat tire about an hour from home, it wasn’t a bad trip at all!) And that concludes our epic 2013 Road Trip reports! I feel a bit sad, like it’s over again since I’m done writing about it! I hope you enjoyed reading about it!